We were lucky enough to get to chat with Dr. Mollie Grow, a pediatric specialist from Seattle Children’s Hospital (which we hate to have to use, but are thankful to have access to, when we do need them! ), about how to best prepare kids for summer camp. In the meantime, I’m tucking these tips away. I’m sure we’ll need them, soon enough. 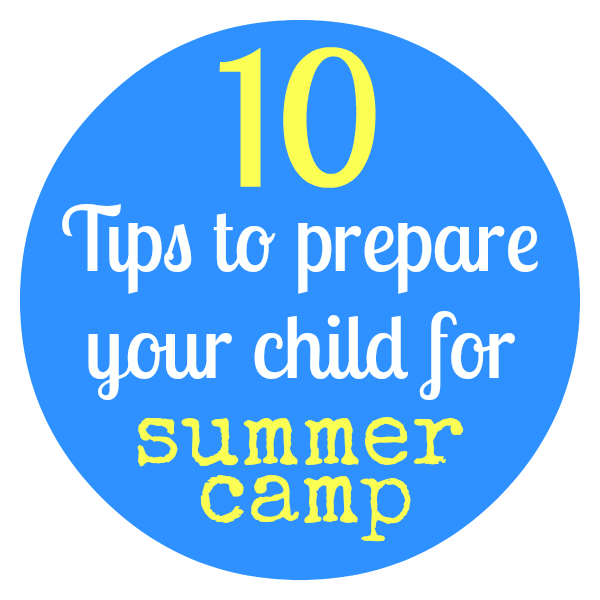 Talking about camp, what it will be like and how much fun your child will have will help them know what to expect… and doing so far enough in advance to process any anxiety they may have will help drop-off day go smoother, for everyone. Signing them up for a summer camp that they’re not into may not end well. Let your child help make the decision about the type of camp they’d like to attend, as well as involving them in the process of preparing for camp — from picking out a new sleeping bag to packing their bags. As with most things in parenting, focusing on the positive, and minimizing the negative will help get your child excited for summer camp. And, with so many fun activities and adventures ahead of them, it shouldn’t be hard to do. However, don’t minimize their fears, either. Make sure you take the time to listen and help solve any anxieties they may have, whether it be those dreaded swim tests or sleeping in a cabin. Schedule sleepovers and play dates with friends so that your child can experience time away from home before they leave for summer camp. Bonus points for get togethers with buddies who are going to camp with your child! Your camp may have guidelines about what they can bring to camp, but stuffed animals, photos from home or other beloved mementos will help keep homesick moments at bay. Many summer camps keep on top of kids needing to apply sunscreen, but teaching your child to apply it properly and packing them products you know they will use will help keep them protected from the sun. “Many experts are now recommending the use of sunblock products with zinc oxide,” shares Dr. Grow. “One zinc oxide product that emphasizing very low questionable chemicals is ThinkSport.” She also recommends checking your sunscreen’s safety on the Environmental Working Group‘s website. If your child has chronic health concerns, Dr. Grow suggests having a physical exam before heading to summer camp, to make sure that medications are on track, how to use them properly at camp and to see if any adjustments need to be made, in advance. Don’t be afraid to request a meeting with the camp’s director to discuss your child’s medical conditions before they head off to camp. For more serious conditions, Dr. Grow reminds parents that there are often specialized camps that children can attend and parents can feel safe knowing that their medical needs will be a top priority. Have a child headed to a sports camp this summer? Hydration is key. Make sure they have a water bottle that they love. While kids of different ages need different amounts of water each day, in general, Dr. Grow says that kids should be drinking about 1/2 a cup of water every 15-minutes. Lice at summer camp? Sorry to burst your bubble, but it’s common. Remind your kids that sharing brushes, hats and helmets can result in an itchy head and be prepared to give them a quick bug-check when they get home… or maybe on the front porch! Dr. Grow reminds us that facts about lice can be found on the CDC website. A big thanks to Dr. Grow for these fantastic tips! We love following the blogs at Seattle Children’s Hospital — you can find a full listing on their website. This entry was posted in Life and tagged Dr. Mollie Grow, Seattle Children's Hospital, Summer, Tips for Parents on July 8, 2014 by Katie Kavulla.